Stub (Jason Stubblefield) is an award-winning wine blogger at CorkEnvy.com (2015 Wine Blog Awards), award-winning filmmaker (2016 International Wine Film Awards), regular contributor to the Emmy Award-winning Daytime Blue Ridge (WSLS Roanoke, VA), writes a monthly wine column for City Lifestyles Magazine, and is co-host of the weekly talk show Wine Antics LIVE. Stub has diverse experience in the hospitality industry—from bartending to restaurant management to equipment sales to foodservice/hospitality training and consulting. His passion for wine eventually led to a position as a harvest intern in order to “get his hands dirty” in the industry and better inform his writing and filmmaking. 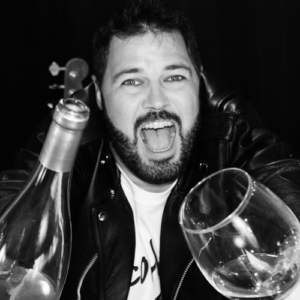 As a sought-after writer, promotional filmmaker, and speaker, Stub works every single day to improve his knowledge and his palate, to make wine fun, unpretentious, and accessible for everyone, and firmly believes you can take wine seriously without taking yourself too seriously.